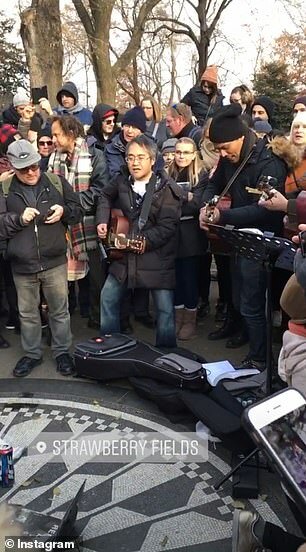 Yoko Ono and devoted Beatles fans are sharing tributes to music icon John Lennon on the 38th anniversary of his murder. 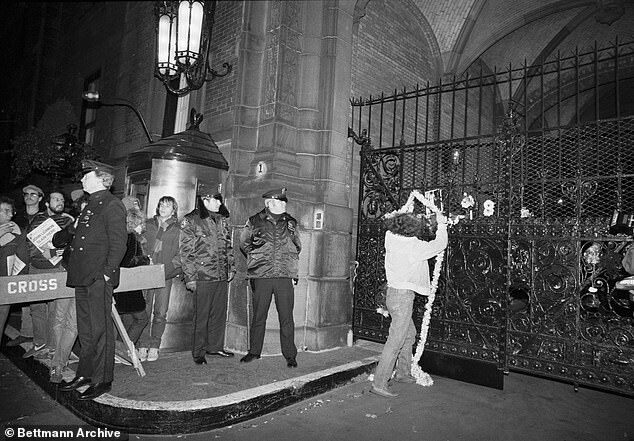 The beloved Beatle founder died at the age of 40 on December 8, 1980 when he was gunned down by Mark David Chapman four times in the back at close range in the archway of the singer’s New York home The Dakota. 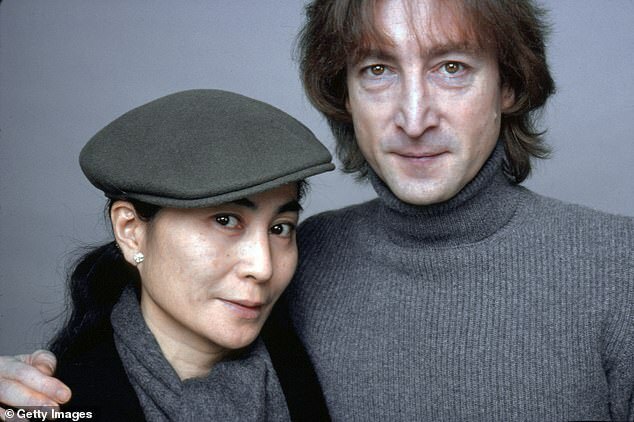 Lennon’s wife Yoko Ono, 85, shared a few words on Twitter in his memory. 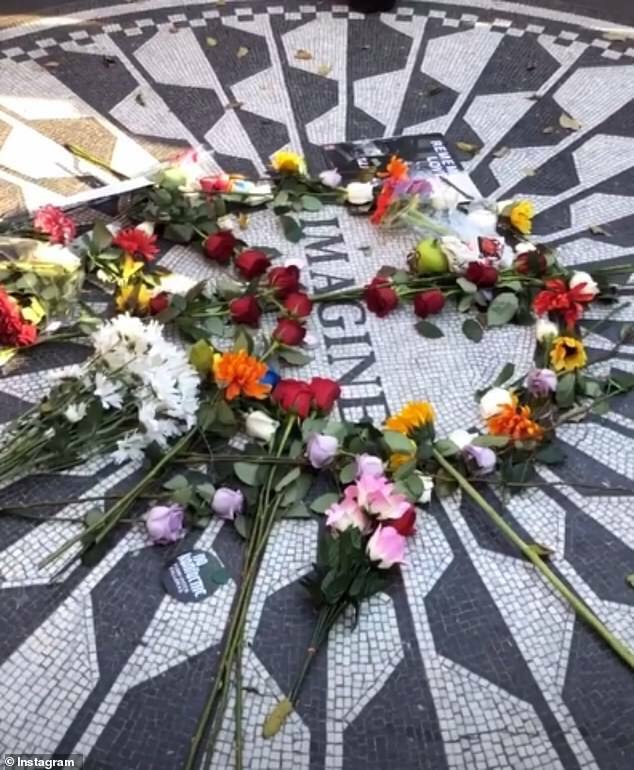 Fans of the music legend gathered at his memorial Strawberry Fields on the Upper West Side of Central Park to share a moment of silence and sing some of Lennon’s favorite songs. 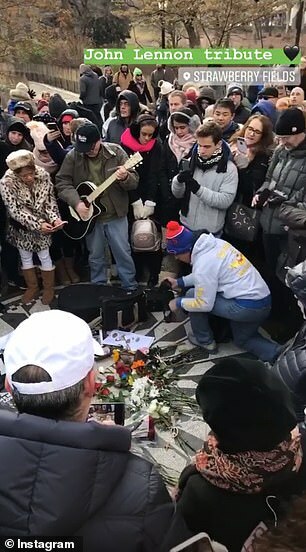 Crowds braved the cold to lay flowers and pictures on the floor of the Imagine mosaic – an emblem dedicated to Lennon’s cry for world peace. 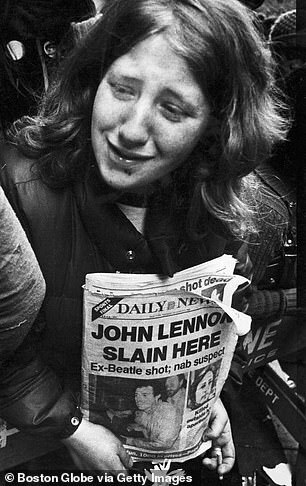 The memorial was created by Lennon’s widow Ono and landscape architect Bruce Kelly. 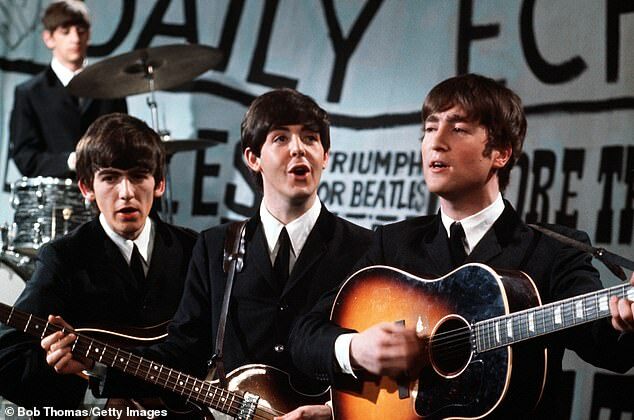 The gathering is an annual tradition for fans moved by the Fab Four songwriter’s legacy. 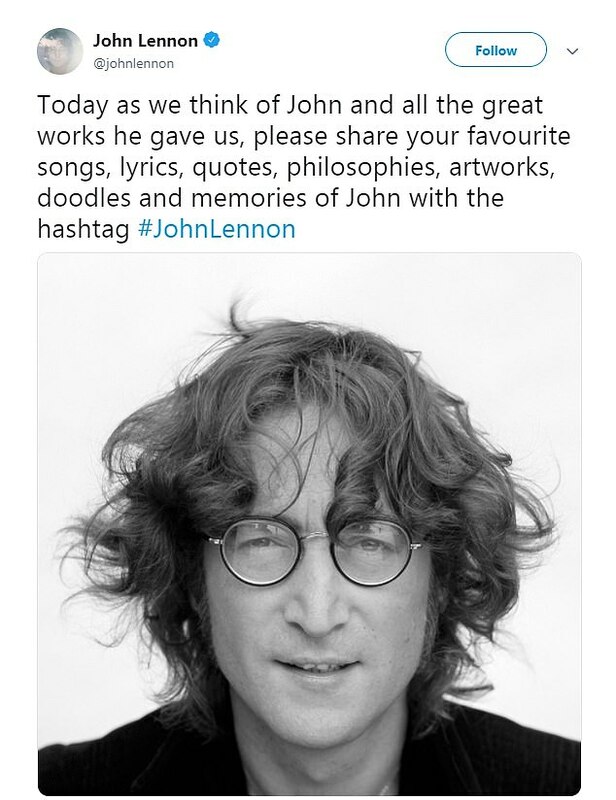 The John Lennon Twitter page also shared the startling statistic that over 1,400,000 people have been killed by gun violence in the United States since his death. 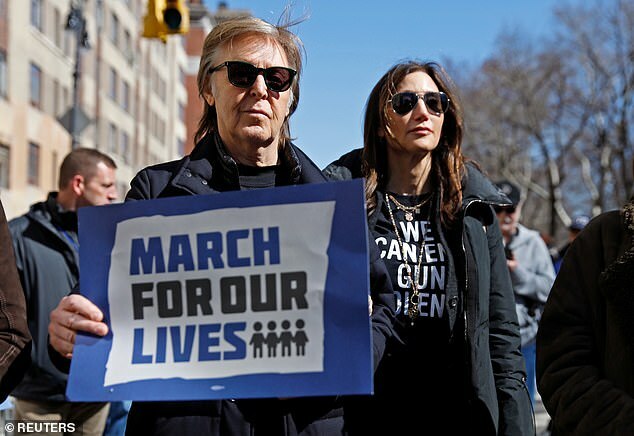 Fellow bandmate Paul McCartney spoke out against the gun violence that took the life of his dear friend when he joined the March for Our Lives protest in March. ‘As you know, one of my best friends was shot not far from here,’ he said. ‘It is important to me,’ McCartney said of the gun violence protests. He walked hand in hand with his wife Nancy Shevell and cited John as an inspiration. ‘You know I am like everyone. I don’t know [if we can end it] but this is what we can do so I am here to do it,’ he said. 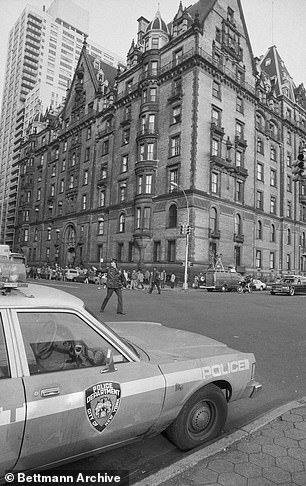 Lennon’s killer Mark David Chapman was sentenced to 20 years to life for the singer’s murder. He’s been imprisoned ever since and has been denied parole 10 times since he became eligible in 2000. Cash in Transit or Smart Safes? Which one to go with?